Provides one of the best uptime with less to no downtime problem. Even if downtime happens, it is quickly resolved. Your site speed will be improved considerably using Siteground. Provides 24/7 Customer support & having one of the best team. Provides Speed Optimizer only to the Siteground user which further increases the site speed. Free SSL & HTTPS Integration. SSL certificate is considered one of the ranking factor in Google ranking. It has one of the Top Notch Security which makes sure your site is safe & secured. In case, you want to transfer your web host to Siteground from your existing web host. 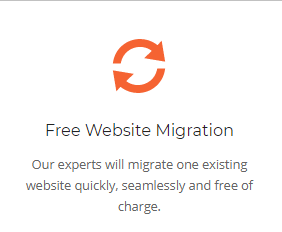 Then, the Siteground team will do the site migration absolutely for FREE. It has various Data Centre Locations which gives you the option to choose your data center near to your target audience. This post contains affiliate links. However, I only suggest those products which are trustable. If you buy or sign up anything using my link, I get a small commission which helps me to keep this blog running. For more info, you can refer to my Disclosure page. Don’t wanna scroll? Ok, I got your back. Click on following section links which will directly take you to the clicked section. 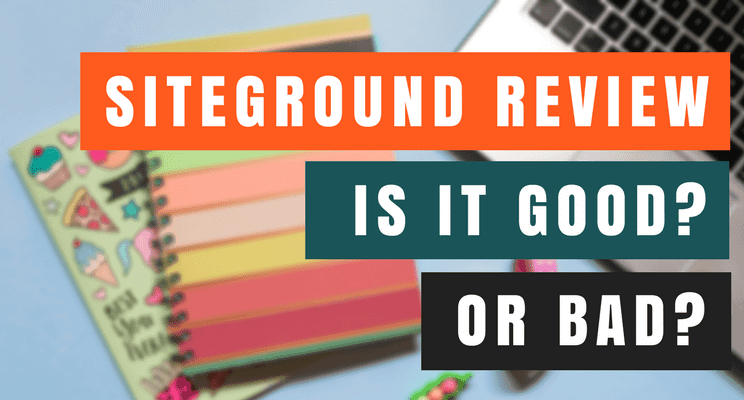 SITEGROUND REVIEW – IS IT ACTUALLY GOOD? 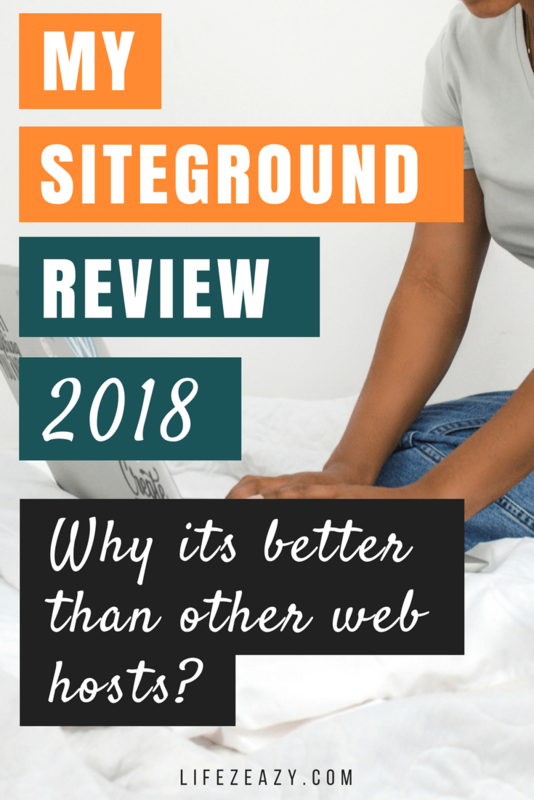 SiteGround is one of the most talked web hosts on the internet & it is filled with a lot of positive reviews. Now, I have been using SiteGround for past 6 months on my another blog. During the period, I have analyzed a lot of its features such as speed, uptime, customer support etc just to see whether it delivers what it offers. Hence, that made me write this Siteground review post so that you all can decide whether it deserves a chance or not. If you are someone who is planning to buy SiteGround but couldn’t decide whether it is actually good or not. Then, I prefer that you read it till the end. Also, if you are a user of Bluehost or A2 Hosting & thinking of switching it to SiteGround, then you can read my comparison post between Bluehost Vs SiteGround Vs A2 Hosting which will help you to get a clear answer. I use to be a Bluehost user but quickly skipped to SiteGround. Because I faced many downtime problems which affected my ads & affiliate revenues. Not only me, but there are also many bloggers who have experienced the same thing. 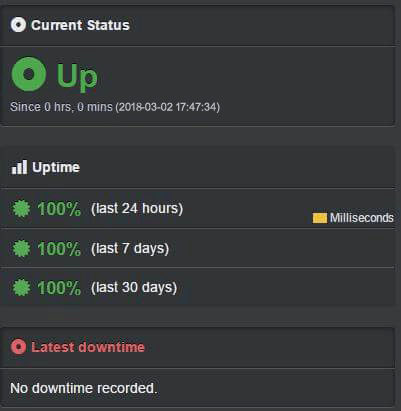 SiteGround guarantees an uptime of 99.99% for all websites it hosts so you won’t have to worry about your site going down due to server issues. They use proactive server monitoring system that detects immediate issues and fixes them immediately so that our site won’t face any downtime problem. I am sure you hate slow loading sites as I do. According to Kissmetrics, a 1-second delay in page response can result in a 7% reduction in conversions. I am sure you don’t wanna lose such conversions as it also creates a bad impression for your blog. To test the loading speed of SiteGround, I used Pingdom website. Following is the result. As you can see, the average loading time was recorded as 482 ms which is higher than the standard loading time of 1052 ms. Also, the loading speed was consistent as I didn’t encounter any slow & spikes. This only happened when I switched to SiteGround because earlier I use to play with different plugins trying to make my site faster. SiteGround makes site server response low which results in faster loading website. Seriously, it makes a huge difference. SiteGround advertises that they have 24/7 tech support. You can contact them via live chat, phone, e-mail or ticketing. As per my experience, they have a pretty good support team. They are always available and you will mostly get a reply within 10 mins. Though, if your issue is pretty serious, it may take some time to get resolved. But that’s generally because your query needs to be passed to the right person. Sometimes, if it is passed to the right person early, it may still take time as it sits in their queue which is normal. But they will keep updating you the status which is pretty helpful. Overall, I have pretty good experience with their team which is quite better than other support teams I talked too. 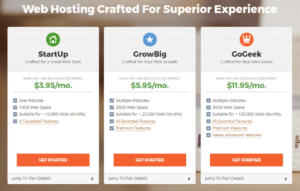 SiteGround offers 3 shared hosting plan. The Startup plan is good for a single website, Growbig is good if you have more than one website & GoGeek is best if you have a large traffic. They have a reasonable price which is good according to the services they offer. Just for $3.95/mo for the 1-3 years, you can have a website up for running. If you are a newbie blogger, you want to try things out first before buying any web host. That is normal, even I was also on the same page. Sadly, SiteGround doesn’t offer any monthly plan. If you wanna try them, you need to pay for a year which is pretty normal in most of the web host. But the good thing is they have a 30-days money back guarantee which means within one month if you feel that their service is not good. You can cancel their services and get a full refund. But if you are sure that you will be blogging for quite a long time, I would recommend signing up for straight 3 years to take the most advantage of their discount. SiteGround has its own caching plugin known as “SiteGround Optimizer” which I haven’t seen in other web hosts. It was developed to provide all of SiteGround’s customers with an advanced web optimization solution. If you activate it, you can expect some serious blazing speed. SG Optimizer also provides instant HTTPS configuration for added SSL security and PHP configuration for a huge uplift in speed. HTTPS provides an added security layer to your website. As stated by Google, HTTPS is one of the ranking factors they look upon on websites while ranking them in the search engine. It’s because they want to make sure that the website is safe for browsing for the users which is possible only with SSL certificate. 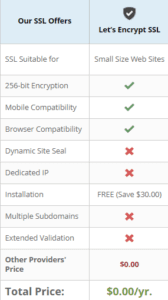 Gladly, SiteGround offers a free SSL certificated powered by Let’s Encrypt which integrates with a single click feature. If you don’t know how it looks, you can check out my website URL. A site security shouldn’t be overlooked when looking for a web host. Obviously, you don’t want your site getting hacked one day. A friend of mine has faced the same issue. But, somehow he managed to retrieve his website back. But sadly, all his contents were deleted by the hacker. Such type of issues are normal and should be taken into care. However, with SiteGround you don’t have to worry. It basically has Linux containers & account isolation which helps prevent other websites on your server from affecting yours. Plus, they have continuous site monitoring & offers DDoS protection. On top of that, they also have sophisticated IDS / IPS systems in place which block malicious bots and attackers. To be honest, I am quite pleased with their security because at least I can have a sound sleep without worrying about the site getting hacked. If you are thinking to change your current web host with SiteGround, then I can gladly say that SiteGround offers free site migration. It will transfer your website from your previous web host to SiteGround without even paying an extra dime. All you need to do is select the website transfer option during the sign-up procedure or contact the support team via live chat. They’ll migrate your site to their server in no time. If your targeted traffic comes from the USA, then you need to make sure your that the web host data centers should be located near to them. This eventually helps them to access your website faster. Now, there are many web host that doesn’t have much data centers. But with SiteGround, you don’t need to worry much. 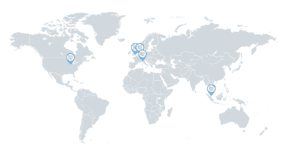 SiteGround data center are located in Chicago, the UK, the Netherlands, Italy, and Singapore which itself gives you many options. As my audience is based in the US, so I choose Chicago as my data center. Additionally, SiteGround offers free Cloudflare CDN which will also help to speed up content delivery irrespective of visitor location. The basic CloudFlare plan is provided by SiteGround and it is integrated right into cPanel, so it’s very easy to get started. Well, till now I have written all about the brighter side. But as you know, nothing is perfect. Same goes for SiteGround as well. I will discuss some negative side which I felt can be improved. Yes, you read it right. SiteGround offers limited storage space in their hosting plan, especially in Shared hosting. The highest storage space it offers in shared hosting is 30GB which is available in GoGeek plan that happens to be the most expensive plan in shared hosting. However, you can somehow tackle it by properly optimizing your site. I have a friend who is using GrowBig plan & is receiving 2k-5k visitors per day on his website. If you sum it up, its like 60k-150k visitors per month. But if you check the GrowBig plan, they have a limitation of 25k visitors per month. So, out of curiosity, I asked him how did he manage all this? He told me that he has properly optimized his site which only takes minimum space. Like, not carrying unwanted plugins, cleaning his database etc. SiteGround only uses Linux based (CentOS) servers. They don’t offer windows server. So, if you are looking for such things, then SiteGround isn’t your cup of tea. If you are looking for a reliable web host with great speed, uptime & security, then you should definitely go for SiteGround. However, if storage space or windows server is your concern, then it isn’t your cup of tea. But as I discussed, these problems can be tackled if you are willing to put some work. Additionally, if you wanna experiment with SiteGround, then don’t forget that it offers 30-days money back guarantee. For me, it’s a thumbs up. What about you?